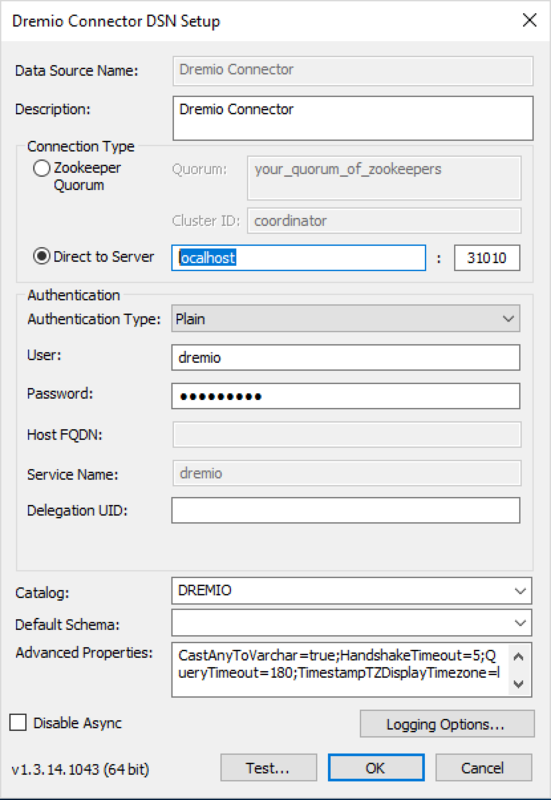 Complete Dremio Connector installation, configure and test connectivity to cluster. 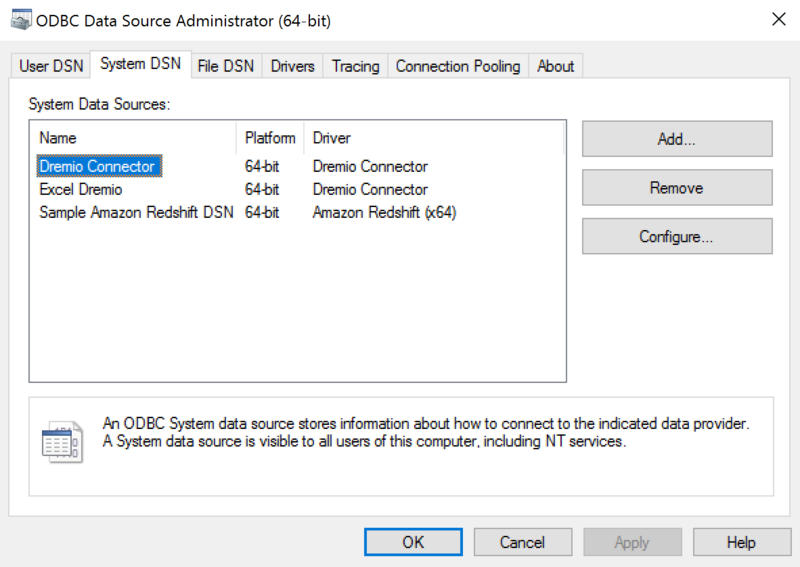 Run the ODBC Data Sources (64-bit) Windows application. Go to your Microstrategy installation directory (for example, under Program Files/Microstrategy). Make a backup of the DATABASE.PDS file: rename DATABASE.PDS to DATABASE.PDS.NODREMIO. Find an unused DB type in DATABASE.PDS and replace the contents of this section with the Dremio provided configuration. Open Microstrategy, in a Dossier of your choice, click New Data, pick Databases and click on Select Tables. 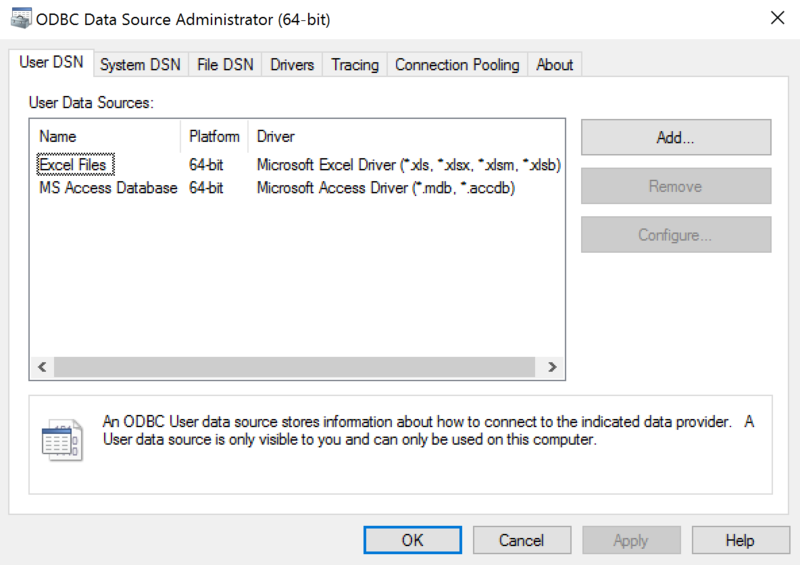 Click + (Add) and go to the DSN Data Sources tab in the dialog. Select the Dremio DSN you configured above for Microstrategy and select the DSSOBJECT that was modified in DATABASE.PDS for version. Enter Dremio cluster credentials and Save. Click Back and select MapR Drill from the list of data source types. Click on Select Tables. Your newly created source should be listed under here. You can now select tables of interest and connect to your data using Connect Live option. Paste the following Dremio-provided configuration into the unused DB type section of the DATABASE.PDS file.